About this time every year, Oklahomans watch thousands upon thousands of acres of land burn up in wildfires. However, this fire season has been better than usual due to the low grassy fuel loads caused by drought during last year’s growing season. While we have seen some recent moisture across much of the state, how big of an effect does it have on wildfire this time of year? Not as much as people might think, according to J.D. Carlson, fire meteorologist in the department of biosystems and agricultural engineering at Oklahoma State University, and program director of OK-FIRE. There are two types of fuels available to wildfires - dead and live. 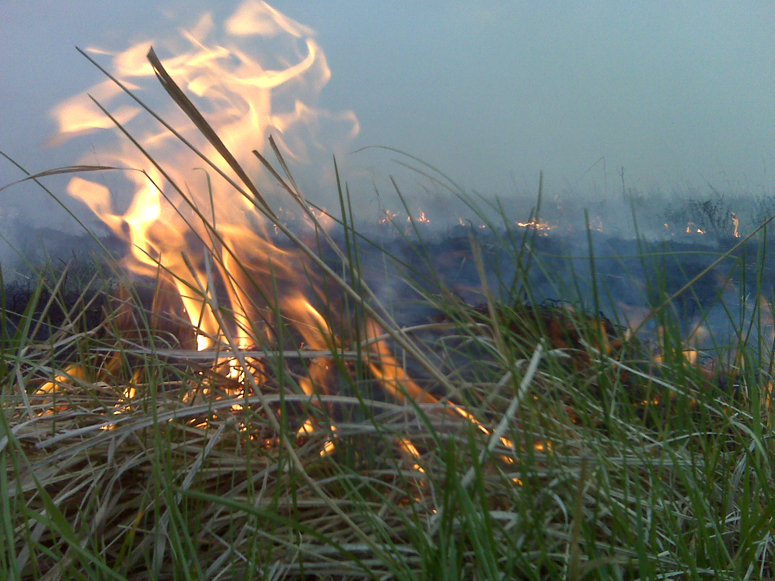 Examples of dead fuels are dead leaves, dead grasses and dead wood on the ground surface. Live fuels include any vegetation that has any degree of greenness, which is essentially limited this time of year to evergreens, such as eastern red cedar. The moisture content of dead fuels is controlled exclusively by hour-to-hour weather changes. Dead fuels are further categorized into four classes according to their diameters: 1-hour, 10-hour, 100-hour and 1,000-hour fuels. The dead grasses and other dead fuels that now cover much of Oklahoma, falling in the 1-hour and 10-hour classes, are the state’s primary fuel before spring green up. The recent moisture experienced by the state over the last 30 days has helped the moisture levels of the larger 100- and 1000-hour dead fuels, as well as the live woody vegetation out there such as eastern red cedar. However, it has had minimal effect on the 1- and 10-hour dead fuels, which are critical to the start and maintenance of wildfires. “Because these smaller-diameter fuels can dry out quickly, fire danger can be high during appropriate weather conditions and will remain so until spring green up occurs and the live green grasses serve to mitigate the fire danger,” Carlson said.